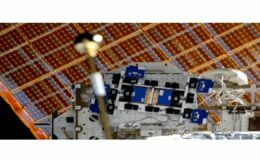 The Center for the Advancement of Science in Space (CASIS) and Alpha Space Test and Research Alliance, LLC (Alpha Space) are partnering to provide the materials research and technology sectors with an opportunity to access and utilize the Alpha Space Materials International Space Station Flight Facility (MISSE). This Request for Proposals (RFP) will solicit commercial entities, governmental agencies, and academic investigators for flight research projects in the field of materials and technology testing in the extreme environmental conditions of space. 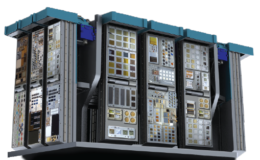 Selected project(s) will work with Alpha Space to develop concepts into payloads that will leverage the MISSE platform on the International Space Station (ISS) U.S. National Laboratory. The MISSE Flight Facility is slated to launch to the space station in Spring of 2018. The MISSE Flight Facility is a commercially-available materials research facility that will reside externally aboard the ISS, offering researchers the ability to test concepts in the extreme environment of space. Applicants will describe using the MISSE Flight Facility (created and managed by Alpha Space) aboard the ISS National Lab for research, development and testing of materials and/or technologies that will lead to Earth-based applications and improve life on our planet. By leveraging the MISSE Flight Facility externally, researchers can take advantage of temperature variation, atomic oxygen, enhanced radiation exposure, among other factors. Testing on the outside of the space station can have broad impacts to the general academic community, but also multiple industries. Researchers within the field of (but not limited to) advanced manufacturing, automotive, aeronautics, energy and transportation industries are encouraged to submit flight concepts to utilize this facility. This solicitation will follow a two-step submission process. All interested investigators must complete a Step 1 Proposal. This proposal will be reviewed for operational feasibility and terrestrial benefit. The deadline for Step 1 Proposals is March 1, 2018 at 5pm EST. “The MISSE Flight Facility will provide a broad spectrum of researchers and industry yet another commercially operated platform aboard the ISS on which they can conduct research and test technologies in the extreme environment of space.” said CASIS Director of Operations Ken Shields. About CASIS: The Center for Advancement of Science in Space (CASIS) is the non-profit organization selected to manage the International Space Station U.S. National Laboratory with a focus on enabling a new era of space research to improve life on Earth. In this innovative role, CASIS promotes and brokers a diverse range of research in life sciences, physical sciences, remote sensing, technology development, and education. Since 2011, the International Space Station U.S. National Lab portfolio has included hundreds of novel research projects spanning multiple scientific disciplines, all with the intention of benefitting life on Earth. Working together with NASA, CASIS aims to advance the nation’s leadership in commercial space, pursue groundbreaking science not possible on Earth, and leverage the space station to inspire the next generation. About Alpha Space Test and Research Alliance: Alpha Space Test and Research Alliance (Alpha Space) is a woman- and minority-owned advanced technology company serving the Materials Science community with on-orbit, real-time pure materials science research. Alpha Space’s program, MISSE, is the first facility in the world to offer pure materials science research to the commercial sector. 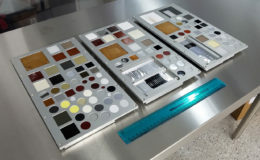 MISSE provides unparalleled testing and data collection for both passive and active material samples in the extreme environment of low earth orbit with sample return to earth for post-mission processing.